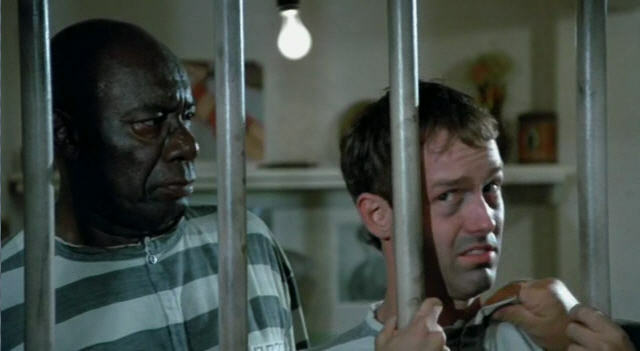 The 1985 low-budget comedy crime film Crimewave is an early effort by director Sam Raimi (Spider-Man) and screenwriters Joel and Ethan Coen (A Serious Man), all of whom have gone on to decidedly bigger things in their careers. In the film, the head of a security systems company is bumped off by two gonzo exterminators (Brion James and Paul Smith) who have gone from stomping out pesky varmints to stomping out human targets. The exterminators go after the partner (Edward R. Pressman) who hired them and his blatantly obnoxious wife (Louise Lasser, TV’s Mary Hartman, Mary Hartman) and, in the meantime, frame a poor security guard (Reed Birney, Twelve Thirty) for the murder of the company boss. Making its Blu-ray debut in the U.S., the cartoonish and irreverent film, a cult favorite that Raimi directed after 1983’s The Evil Dead, also stars Bruce Campbell (Cloudy With a Chance of Meatballs ) and Sheree J. Wilson (TV’s Walker, Texas Ranger). Bonus features for the discs are still in development—we’ll update you as soon as we hear what’s going on!